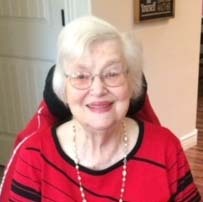 LAYTON – Jolanda Eva Hare, 93, of Layton, Utah passed away Monday, September 10, 2018 at her home. 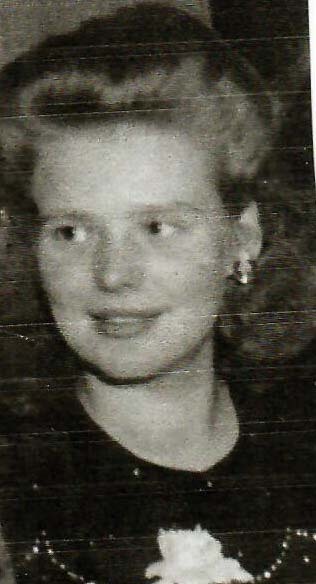 She was born in Berlin, Germany on December 16th, 1924, the daughter of Kurt Karl Konigsberger and Elly Helena Dittmann. While living in Streatham, London, England, she met Frank Lee Roy Hare. They were married August 22, 1945 and later sealed for time and all eternity in the Salt Lake City Temple. After the war they returned to Wilson, Pennsylvania, Frank’s hometown and in 1947 moved to Ogden, Utah and in 1960 moved to Layton, Utah where they lived the rest of their lives. She worked at Lakeview Hospital in Bountiful, Utah taking care of all the new mothers and their babies. After she retired, Jolanda and Frank served an LDS mission in Germany at the Frankfurt Temple. She was preceded in death by her husband, her parents, two grandsons, one great-grandson and one great-granddaughter. Surviving are her 10 children, Lanny Telford, Frank (Jackie) Hare, Vivian (Paul) Evans, Roger (Elaine) Hare, Bob (Cheryl) Hare, Janice (Mel) Hansen, David Hare, Chrissy (Paul) Sesson, Venus (Roy) Hale, Patti Hare, her sister, Penny Bauer, and many nieces and nephews, an abundance of grandchildren, numerous great-grandchildren, and several great-great-grandchildren, with more on the way. Funeral services will be held Saturday, September 22, 2018 at 2 p.m. at Lindquist’s Layton Mortuary, 1867 No. Fairfield Road. Friends may visit family Saturday from 12:30 to 1:30 p.m. at the mortuary. Interment, Lindquist’s Memorial Park at Layton, 1867 No. Fairfield Road.